Home » News » Since 2016 we have been producing in our new plant. Since the beginning of 2016 our company has moved in a new plant.The manufacturing part is 1500 sq.m. big and the administrative one is 500 sq.m. 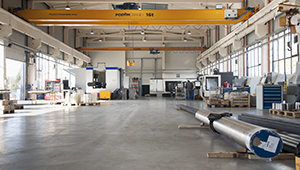 This was done in order to have better conditions for the manufacturing process and more free space for new machines.